Eating disorders exact an enormous toll on your quality of life and physical health. Fortunately, they are responsive to treatment. With emotional support, behavioral guidance, and insight into the underlying motivations of your struggle with food, weight, and shape, you can free yourself from the grip of disordered eating and experience freedom and ease in your day-to-day life. I work with all difficulties that involve food, weight, and shape in both males and females. This includes eating disorders such as anorexia nervosa, bulimia nervosa, binge eating disorder, and muscle dysmorphia, as well as body image concerns. I collaborate with an excellent team of nutritionists, psychiatrists, and physicians to provide holistic, effective treatment. Please contact me to further discuss my approach to treatment or to schedule an initial consultation. Because eating disorders are serious, often life-threatening illnesses, it is important that your treatment provider has specialized training in this area. I have a number of years of experience working with eating disorders in children, adolescents, and adults, both male and female. I have been quoted by publications such as Newsweek, WebMD, Slate, Yahoo Health, National Post, and many others, and have been interviewed on the radio show, Psych Up Live, about male eating disorders and the psychoanalytic treatment of eating disorders. 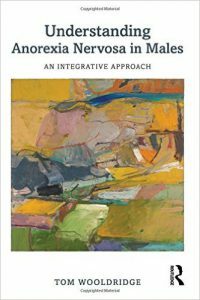 I am the author of the book Understanding Anorexia Nervosa in Males: An Integrative Approach and editor of Psychoanalytic Treatment of Eating Disorders: When Words Fail and Bodies Speak. 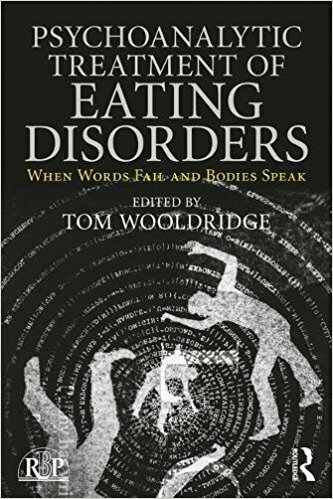 I have published numerous articles in professional journals and speak widely on a range of topics related to eating disorders. I am the Executive Director at the National Association for Males with Eating Disorders, where I am actively involved in advocacy and outreach efforts for men and boys struggling with these issues. There is a movement in the field of mental health to establish credentialing to help patients identify ‘experts’ who have demonstrated a degree of excellence in training and experience in specific areas of practice. The International Association of Eating Disorders (IADEP) has pioneered an effort to establish credentialing in the treatment of eating disorders. I am currently the only psychologist practicing in Berkeley, and one of the few in the Bay Area, who has been awarded this distinction.